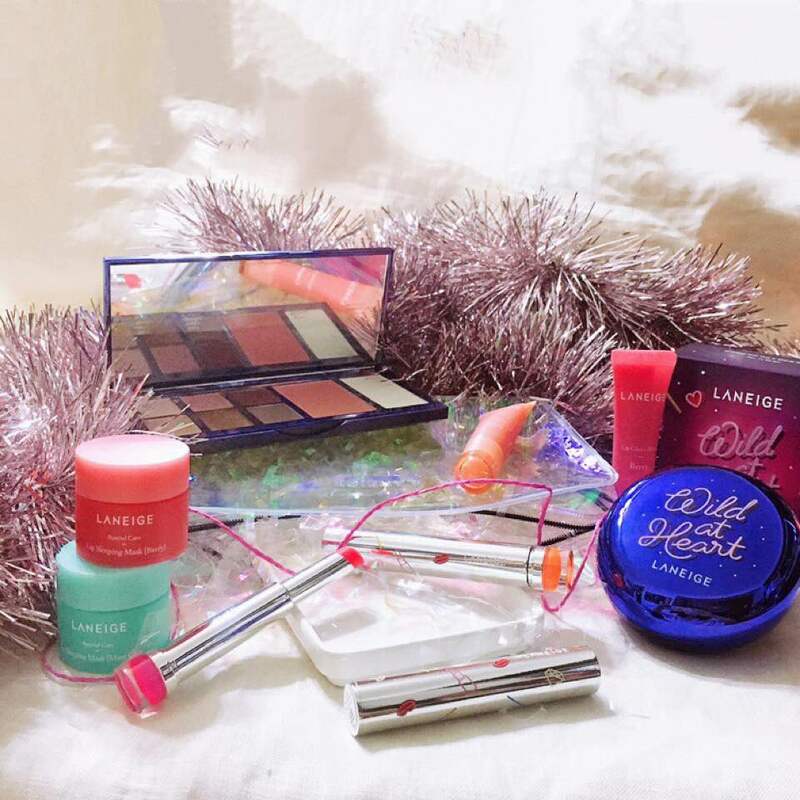 Laneige Wild at Heart Holiday 2018 Collection! Theme was pink and blue and I think I did it hahaha wore my super cute floral skirt from #TTR! This design is old but the fit is so amazing. The PR came in the cutest packaging. 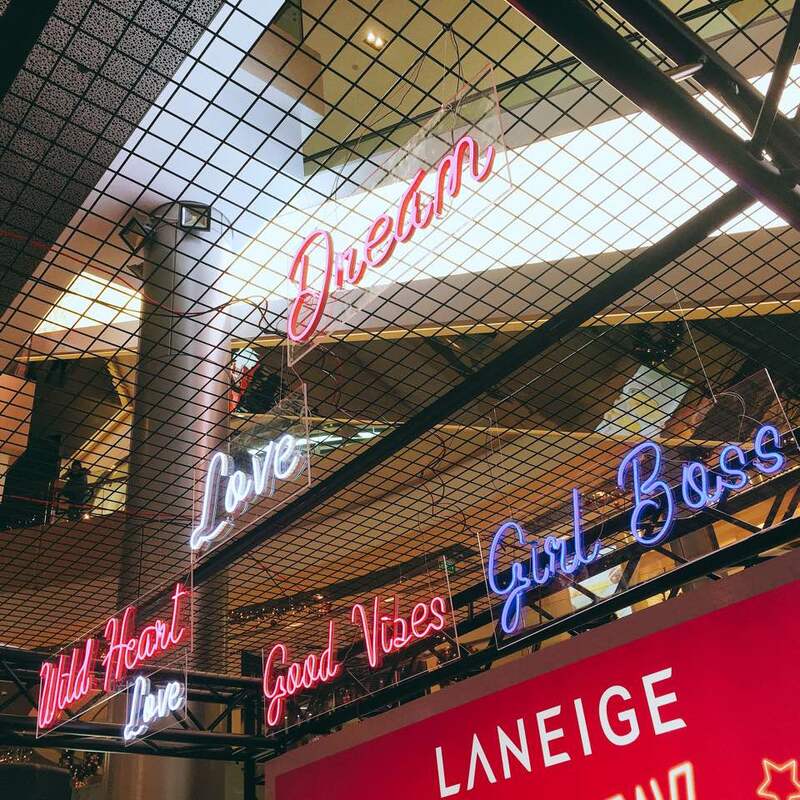 These are everything that is inside. But they are very beautiful on lips. The orange one is a LOVELY coral so I was quite surprised. 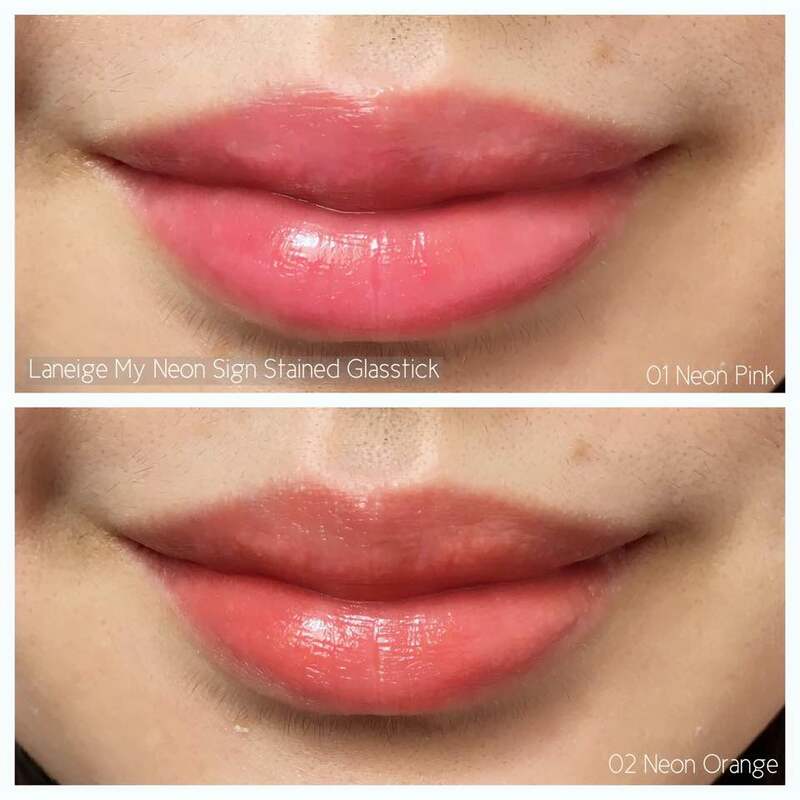 I mean, ain’t no body wanna have highlighters as lipsticks yah so I’m glad they weren’t really neon. But if u wipe off right, then u see the tissue paper is legit a neon shade leh hahaha It’s very odd and I’m v intrigued by it! They also have an eye and face palette and I thought it’d be a typical Korean-quality kinda palette but damn this pigmentation in this palette is freaking awesome. U can see for yourself ah?? 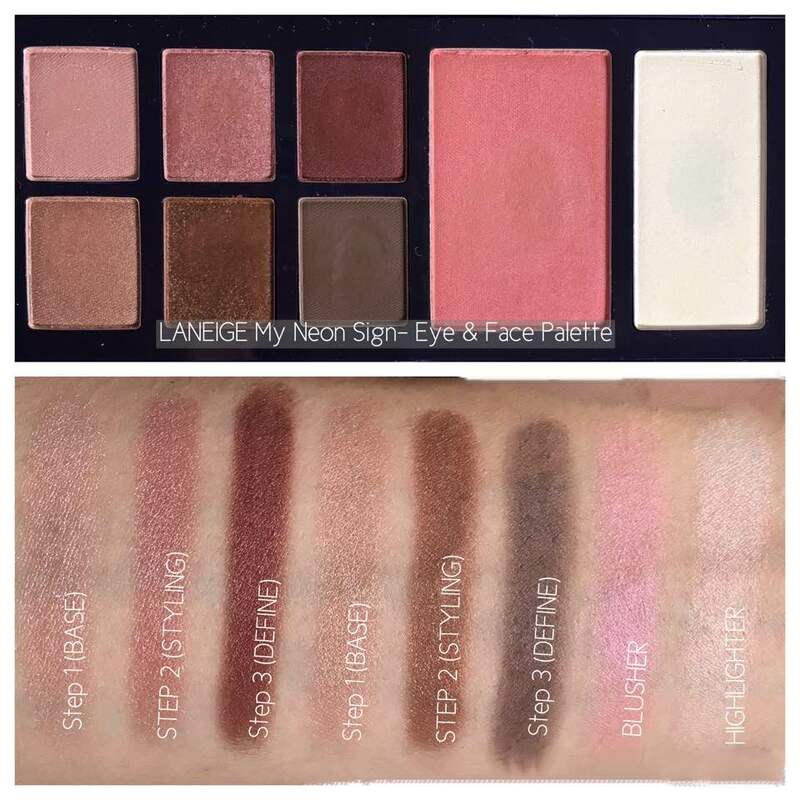 Haha the eyeshadow shades are meant for 2 looks (top row is a rosy-pink and bottom row is a warm brown) but u can mix and match and do what u want cause why not? 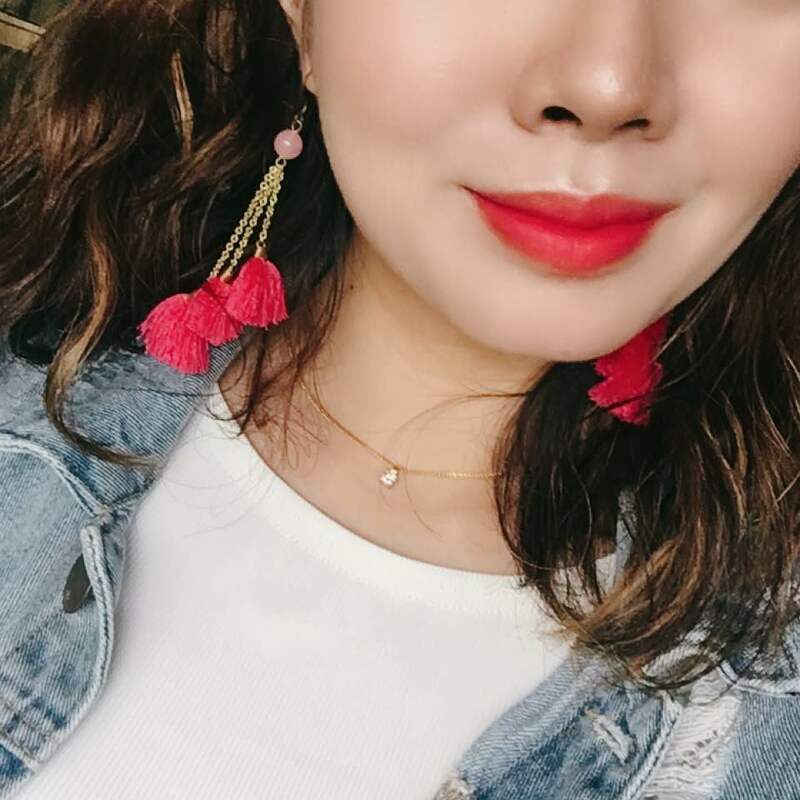 The blusher and highlighter are duochrome. Idk if u guys can see. The blusher is a coral-pink with blue gold reflects and erm, I really am not a fan of this shade. It looks very...weird. The highlighter tho OMG DEAD OK. It’s this champagne-gold with pink reflects and totally mermaid vibes. 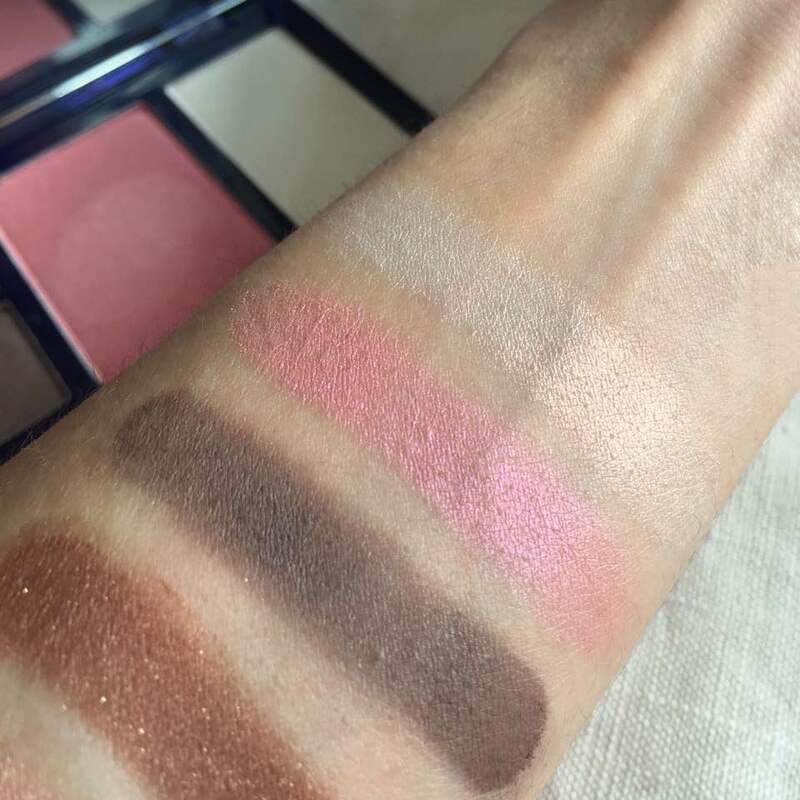 I died as i swatched it. After I remove the swatches, I went back and re-swatch it cause I really couldn’t believe how GORGEOUS it is irl. I don’t think I own anything like this in my stash! 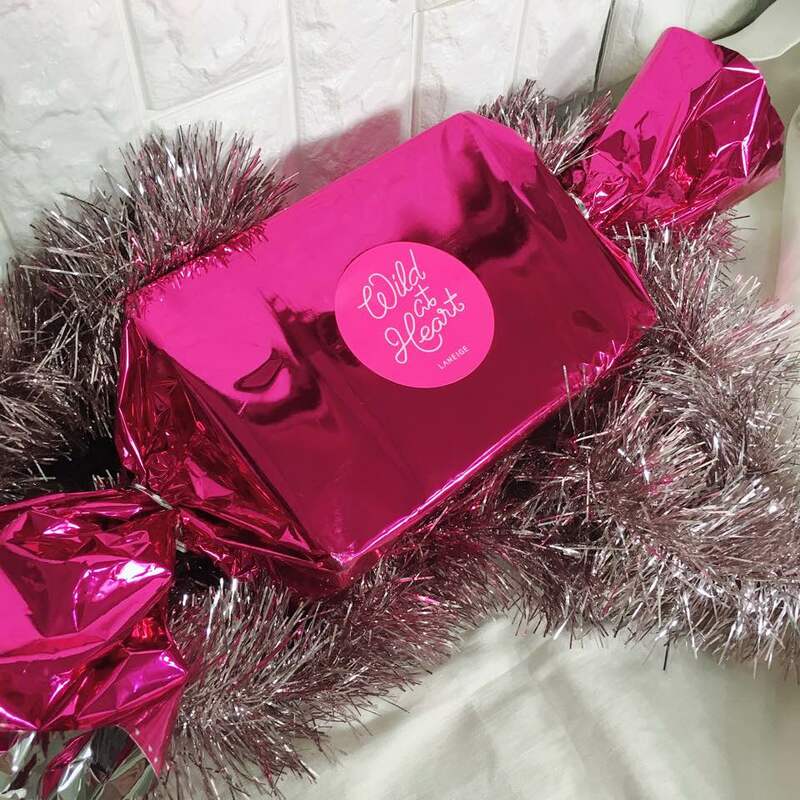 There’s many different sets for the holiday collection and one of them is the lip one! 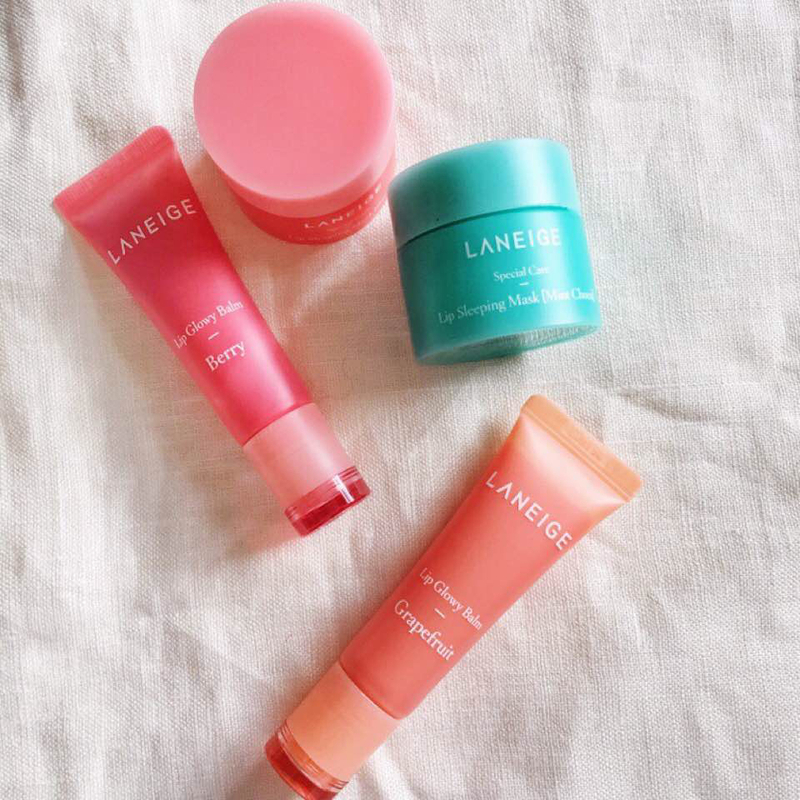 It comes with 2 masks and 2 glowy balm. The mint one is new and I can’t wait to try it. I’ve been giving this lip masks to everyone - my MIL, my SIL, my husband and so on cause it’s THE BEST. I love it. I still use it every single night. This is my holy grail of lip masks and I actually really love the thick layer that some don’t like. I LUVZ it. 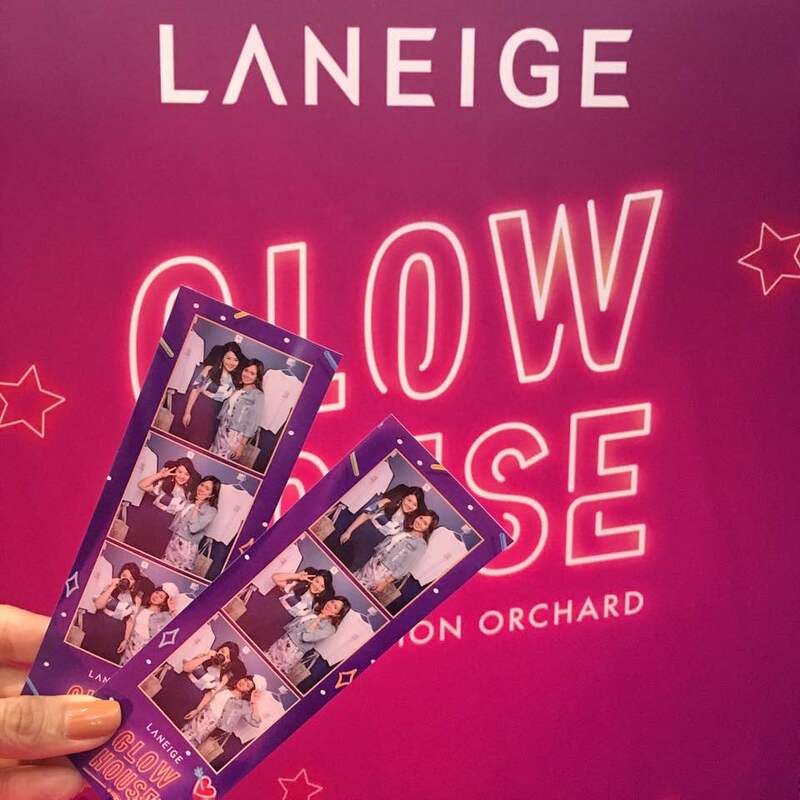 Laneige Stained Glow Lip Balms and Cheek Glow - Swatches and Review! 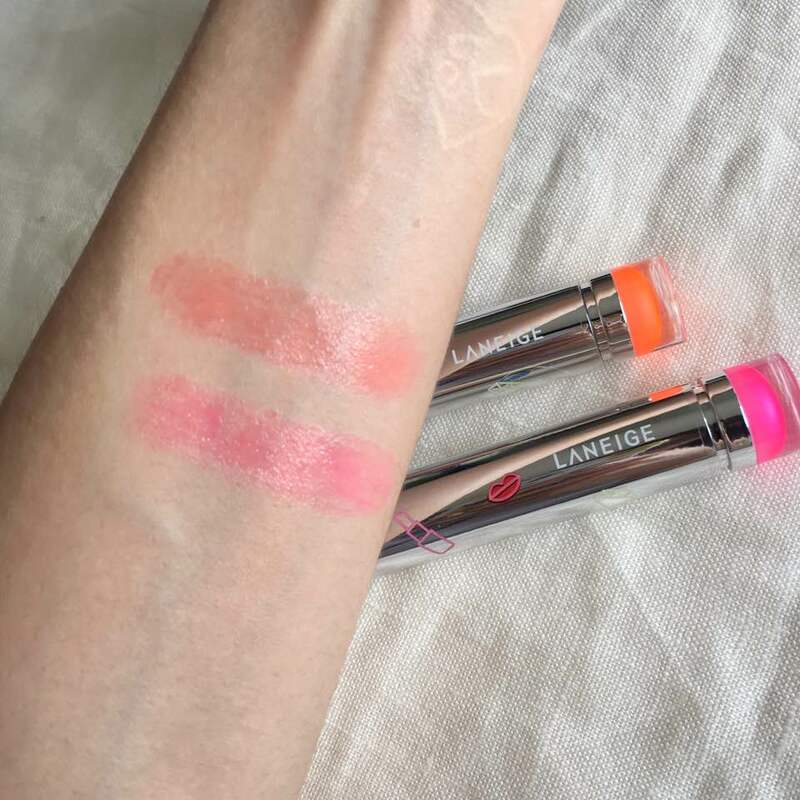 Laneige Tattoo Lip Tint - swatches and review!